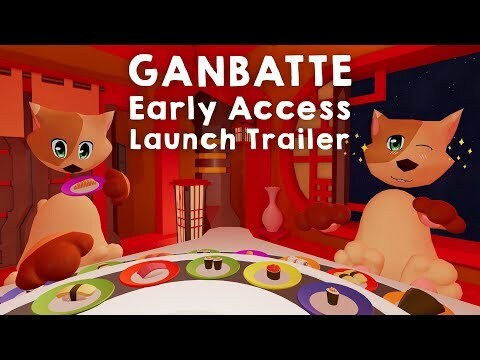 Ganbatte is a competitive multiplayer game for VR, about cats, in space, eating sushi. Players try to eat as much valuable sushi as they can to reach the highest score. The game is family-friendly and brings together hungry sushi cats from across the galaxy. Ganbatte is currently in development and will be released as an Early Access title in April 2018.